Translations tend to lose or water down the original message that was intended to be passed along. This case also applies to the Bible which was originally written in Hebrew but has been translated into over 670 languages. Even the different translations, for example in English, differ on the message and content in various verses. A biblical Hebrew online course allows you to get a look at the original Bible straight from the God-inspired mind of the scribe to the Bible scroll, enabling you to delve deeper and better understand the teachings of the Holy Book while getting a good grasp of the original message. Here is why such a course can add significant value for theologians, preachers, historians, students, and general knowledge-seekers. Most ardent Bible readers get their interpretation of the scriptures from spiritual leaders. Unfortunately, like in any occupation, there have been wayward men of the cloth who twist some meanings of the scriptures to accomplish their selfish ends. This has often misled the flock, and in some instances turned tragic due to bad Scripture distortion and interpretation. Also, some spiritual leaders do not have a good understanding of the Bible, which forces them to concoct their definitions. Thus the intended message does not resonate well. A biblical Hebrew course addresses all these shortcomings and empowers you with the ability to build a strong spiritual foundation through a better understanding of the history, physical settings, culture and sources of the written texts. It also gives you an independent outlook whereby you can adequately read between the lines of biblical Scripture without depending on a third-party. The Bible is a unique and complex spiritual book. Some of the texts, scriptures, and stories do not necessarily mean what we see at face value. They have deeper meanings with some having multiple possibilities in what they stand for. A few English translations come with footnotes to try and better explain the Scripture for a reader to get a deeper insight into its meaning. Unfortunately, such Bible translations are few, leaving the reader to assume a great deal. However, with a biblical Hebrew course, you do not have to guess what hidden meanings or secrets the Scripture holds, as you will have first-hand knowledge of the original biblical language with all its history, grammar, interpretations, and imagery. It ensures you are steps ahead in your spiritual journey. 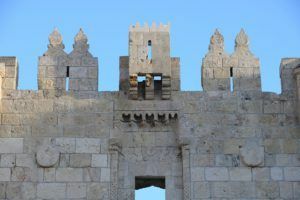 A biblical Hebrew online course reminds us that God’s inspired Word was penned centuries ago, in a different time than the one we are living in, and during starkly different cultural times as well. Reading the Bible through its original language helps you to appreciate that God was present way before we came into existence, and that puts a significant distance between the Holy Scripture and us. This fact helps a reader to resist the urge to interpret biblical texts through modern-day instances, which may make the Scripture content appear alien. It is a well-known fact that the Bible’s Old Testament provided the foundation and direction for the writing of the New Testament. The Old Testament scripture, originally written in Hebrew, contains most of the prophecies that came to be confirmed in the New Testament. A biblical Hebrew course provides the unedited version of important revelations and truths that are the basis of the Bible teachings, providing a platform for the New Testament to take shape. Therefore, with such a tool in the bag, you have the key to invaluable developments that set the stage for the entire Holy Book. The country of Israel provided the setting for the writing of the Bible, which was inspired by God and where most of the stories told in the Holy Book took place. The Israel Institute of Biblical Studies has built a reputation as one of the world leaders in biblical studies and languages over the years, with numerous related courses that equip learners with unparalleled knowledge of the Bible, including its history, culture, language, people and the land where it all happened. The classes taught at the institution are under two central departments: Department of Jewish and Biblical Studies and the Department of Biblical languages. The various courses of the Israel Institute of Biblical Studies are also conveniently available online to millions of prospective learners, thanks to technology. The biblical Hebrew level A is where the genesis to a deeper and more comprehensive understanding of the Bible commences. By the end of this course, a learner will be able to interpret ancient holy texts, with the help of Bible experts and scholars, who are all based in Israel. The first lessons in learning a new language mostly involve getting acquainted with its alphabet, numbers, and vowels, and this is not different when it comes to the Hebrew language. The history behind the alphabet is also taught, together with comparisons of alphabets of other languages like Latin and English. A Hebrew alphabet consists of 23 letters. From there, students are taught about the different vowels, and then it’s onto the formation of simple sentence structures. The course ends with a review of all that has been shown from the beginning, and then learners who move on to the next session can turn their attention to the Bible. Biblical Hebrew- Level A provides the vital beginner’s lessons that act as a foundation for the Hebrew language learning journey. It is worth noting that the Hebrew University of Jerusalem fully acknowledges these courses taught at the Israel Institute of Biblical Studies. In the biblical Hebrew Level B course, learners can now delve into the original Holy Book written in Hebrew and begin building on their biblical Hebrew skills that will enable them to review and have a better understanding of the ancient Bible scripts. The course duration is nine months with a two-hour weekly input from the student. A recap of what one has learned from Level A comprises the introduction of the course, and then learners begin the study of the fascinating story of Jonah and Nineveh, found in the Book of the same title. Other intriguing Bible stories that fall under the broad Level B course are the story of the birth of Moses, David, Nabal, Abigail, Judah, and Tamar among others. The course also aims to advance your Hebrew language skills further, taking it from where Level A left off. In this nine-month course, that takes 3 hours weekly, the Hebrew language learning experience is catapulted a notch higher, as you are taught how to further improve your language skills via the use of Hebrew grammar tools like dictionaries. Various Hebrew verbs, language structures, and patterns are also looked into in detail, and practical examples from the Scripture explored, as well as the right use of lexicons. Also, Bible stories on David, Saul, Goliath, and Jonathan are studied and interpreted. The stories are also explored through a geographical and cultural context, and against the circumstances and background in which each event took place. Every course ends with a review of all that has been learned to act as a refresher. From Biblical Hebrew Level D, the course now goes into the advanced stage moving forward. In this course, students begin taking an in-depth look at the Bible. Here, a combination of biblical poetry and the different techniques and styles used to write it are studied, with the book of Psalms playing a pivotal role. Prophecies that were made in the Old Testament and fulfilled in the New Testament are also explored in Level-D, in addition to the book of Proverbs and Ecclesiastes, popularly referred to as wisdom literature. The parallels that often occur in the Bible are also identified, defined and observed in this part of the course. Also, you will learn about their impact and significance concerning the shaping of biblical history. The course duration is nine months. In this course, the rich biblical history is brought to light, how the Hebrew language evolved over the centuries, and the characteristics of each stage, while also looking at some of the defining moments and the actors that played a central role. Hebrew language registers are also introduced in this course, with a critical look at ancient literature such as the Dead Sea scrolls, which were discovered in eleven different caves located on the shores of the Dead Sea between 1947 and 1956. Considered as the most significant manuscript discovery of modern times, students learn about the exciting information that is contained in the fragmented scrolls, and the effects the finding had on the Bible as we know it. 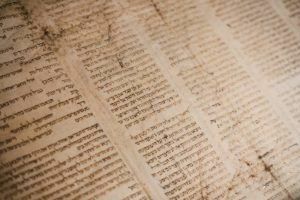 A biblical Hebrew online course is a historical treasure-trove of biblical times and adds immense value to your career, whether you are a historian, theologian, student or a practicing member of the Gospel community. The in-depth knowledge of the world’s most circulated book which also doubles up as a source of inspiration for millions of people across the globe is priceless and can go a long way in boosting your career prospects. Luckily, this outstanding course is available online, which means you can take it wherever you are, and at your convenient time and pace. Furthermore, the course is designed and taught by the most experienced biblical studies scholars based in Israel, who are also available to guide as you learn. This course is a once-in-a-lifetime opportunity for you to deeply understand the history of the Bible and learn one of God’s chosen languages of communication to His people, Hebrew. Enroll today at the Israel Institute of Biblical studies, and learn from the best. I ran into this online institution Israel Institute of Biblical studies few months ago while I was looking for biblical online courses. I like the courses they offered especially this one and the ones they have for kids. However I have decided to wait for the biblical Hebrew course until I finish my reading the bible. I am still on the process of reading the bible in its entirety and am about half way into it. I definitely think this course will help me understand the bible more and in deeper sense. Indeed, already by reading the Bible for the first time you can get an idea of how important this book has been and continues to be for people all over the world. This is a new revelation. I had no idea that due to the translation of the Bible, there have been changes. It explains why there are different versions of the Bible with different contents. Efforts should be made to universally know the original Bible. Also, using the wrongly translated Bible does it have any effect on your faith? Hi Aweda! Yes, this is the problem that different translations lead to different interpretations and thus to different ways of understanding. Yes truly the knowledge of the word of God is deeper than many of us think. Today we have many Bible translations that have neutralized the deep content of the word. To make matter worse many people don’t even read the word again but only listen to their spiritual leaders also known as pastors and whatever they say is the final word. Hence the church is celebrating people of feeble minds. I love the idea of going deeper and reading and study from the Hebrew source and hope I will be able to add to my knowledge in the Lord. I will continue to further follow this website and I will go for the course in the future. Hi Tsquare. Indeed God is so far away, and through poor translations, this distance may increase dramatically. Going back to the roots is always the best idea. This article gives some good insight into what we need to consider when we wish to translate or even read translations of texts such as the Bible which are thousands of years old. We need to go back to the roots or the locations from which these books or texts sprang up to get a thorough idea of what they were trying to convey to us. Hi Jon. You are completely right. Each language has its own identity, that cannot be translated into other languages. Like you say whoever reads the Bible will interpret it differently. I know many people have twisted the actual meaning of the passages many times. But do you think those of us who are innocent of what is written in the Bible, but follow the scriptures will receive punishment? My favorite person who I follow to learn more about the Bible is Kenneth Hagin. A true man of God. He’s the one I can say who has taught me so much. I wish I could read the old language of the Bible just to get the right interpretations right, but also know God delivers to me what I need to hear and understand. Enjoyed reading your post. Hi. Although there are so many translations of the Bible, the original version still has a lot to say for the believer. 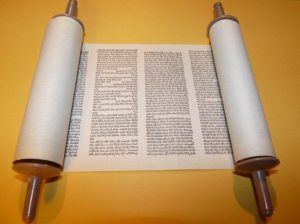 This is an interesting article about reading the Bible in Hebrew and the lessons that are required in order to do this. It seems to be very extensive and detailed. All aspects of the courses are well explained and it seems that a lot of time and effort is required to follow the course. This is right, as important knowledge must be learnt through hard work. The Bible has proved to be inspirational for many people, and I believe these courses will inspire more people. Let’s hope the world becomes led violent and more trusting. Hi Antonio. I’m glad that you appreciate this article. Years ago I read the NIV Bible and thought I understood maybe 75%. Then I listened to 80 hours of narration of the King James version while driving truck day in and day out. Listening to the bible was a good time builder while driving long boring hours across the midwest. Then a few years after the first audio book I came across another audio Bible which was narrated by a cast of performers. This was by far the most interesting of the Bible interpretations. This version was based on NIV, King James and American Standard Version. The cast was brilliant and the story line held closely to what I had heard but as much more interesting because of the cast of 12 performers. I have thought about the different versions and why they differ in many ways. I had surmised that while interpreting Hebrew into English must have been a tremendous challenge. So how many people have tried to interpret the Hebrew Bible through the years? The answer to this question would be impossible, but I would guess many since there are many different versions and all must have come from the Hebrew language since it is agreed by most scholars to be the first language of God inspired writings. I truly appreciate your article as I was not aware that there is a readily available online course teaching how to interpret the Hebrew language. I wish I had come across this 20 years ago.